A first tooth is such a milestone! Make sure you make it memorable! 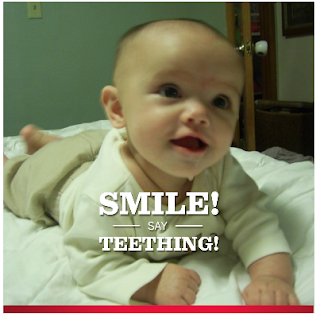 Parents can take pictures of their baby’s first tooth and create personalized e-cards on http://bit.ly/2aJq7rk. For each share of the e-card, Johnson & Johnson will donate $1 to Operation Smile, an international medical charity that has provides free surgeries for children in developing countries who are born with cleft lip, cleft palate or other facial deformities. What a great way to mark your baby's milestone AND give back to others! You can share your creation to Facebook or Twitter easily from the card making application! Mama break received a first too pack in exchange for posting about this campaign. We did not receive any other type of compensation, and believe in this campaign of giving back!